"Music Librarian displays information in a concise form which allows me to see my potential performance selections instantly. No scrolling back and forth through pages of irrelevant data like other products." "We have given all our music hosts a copy of Music Librarian and our database to use on their home computers and laptops. They build their programs at home. Music Librarian does not have a per seat charge, so we pay nothing extra for this." "We started to convert to Music Master, but changed our minds after comparing the speed and ease of use of Music Librarian." "We spent 6 years converting to Music Master and now we’re going back to Music Librarian. You can’t beat it for Classical Programming." 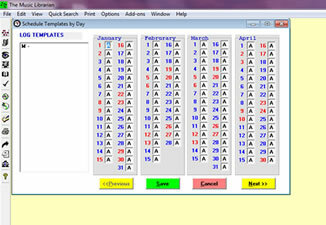 The ONLY music library management and scheduling software designed specifically for classical music. No other product ever comes close to the speed, efficiency and ease of use of Music Librarian. Categorize pieces into multiple groupings based upon audience research, personal tastes and management policies. Create playlists using the Quick Search feature. 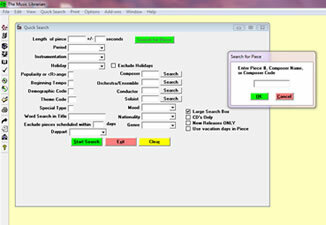 Uses our exclusive Autoload database. Full database containing extensive metadata for more than 57,000 of the most popular classical compact discs. If you have a classical CD library chances are thousands of your CD’s are already in this database and can be almost instantly imported into the MUSIC LIBRARIAN. Autoload is one of the largest commercial classical database available. 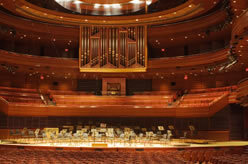 You get titles, descriptions, and attributes of over 115,000 compositions plus the master resource file for over 428,000 performances on more than 57,000 compact disks. and The AutoLoad are all trademarks of Broadcast Data Consultants, Inc.